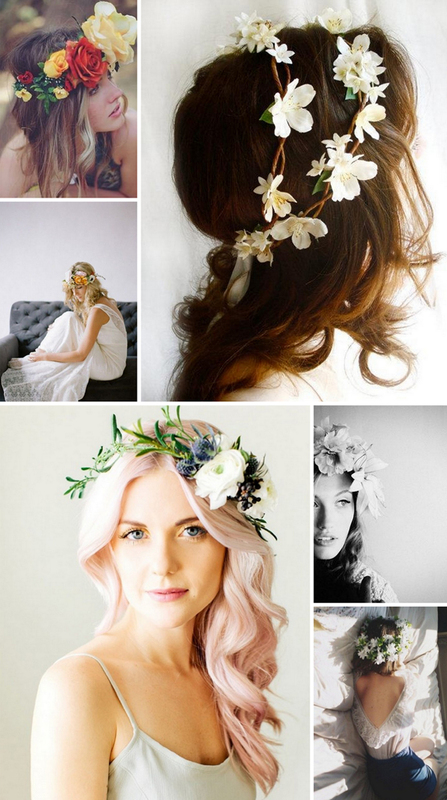 I just think these are the most romantic and gorgeous way to add some whimsy to your everyday 'do. Kind of like a modern version of Frida Kahlo....sans her epic unibrow, but instead with a healthy dose of flower child. I'm on the fence about whether or not I actually have the gall to rock one while casually running errands...I absolutely L-O-V-E them, but I feel like they are more at home in photoshoots, on brides or at hippie music fests like Coachella, ACL, etc. Would you wear a big and bold flower crown while out and about? I'm talking like maybe meeting up for a picnic in the park, but getting your oil changed, going to the grocery store, and walking the dog beforehand....regular weekend stuff. What about a little dainty chain one? I'd do that...but I really do think the bigger, the better. Oh gosh, it's official...I've been brainwashed with the "everything is bigger in Texas" mentality. BRING IT ON! I would like to think I would wear these out to my HEB...but I'm thinking perhaps another day. what a wimp I am....they are all lovely. I'd love to try this pretty, ethereal look but I definitely don't have the nerve to pull it off!